Combine a smart boot look with classic flatform sneaker style in the SKECHERS Alba - Hilow shoe. 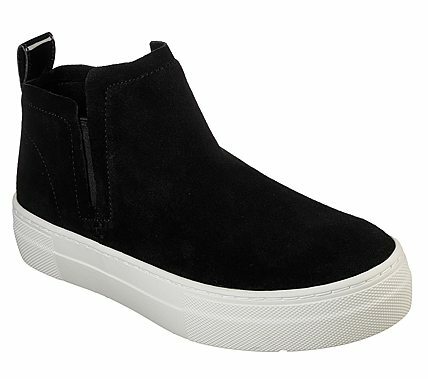 Soft suede upper in a slip on sporty casual ankle height sneaker chelsea boot with stitching accents. Shiny patent trim, Air Cooled Memory Foam insole.